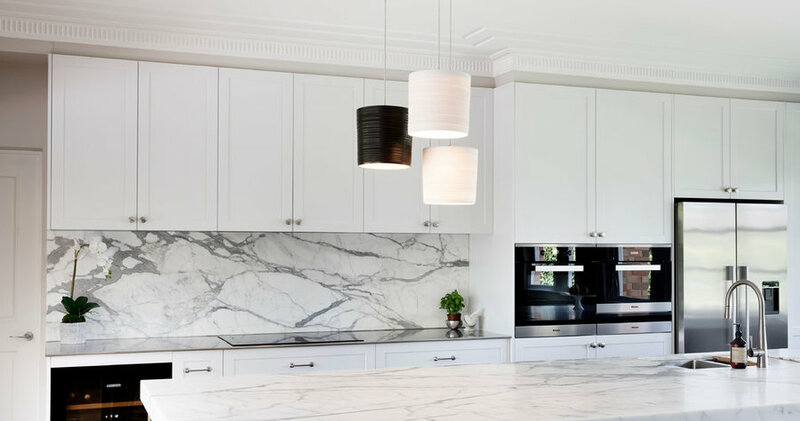 This project entailed the renovation of a beautiful Art Deco period home, encompassing high ceilings, classic detailed cornices, traditional windows and other Art Deco features throughout. The owners wanted a more contemporary /transitional style that would sit comfortably with the homes unique Art Deco features. 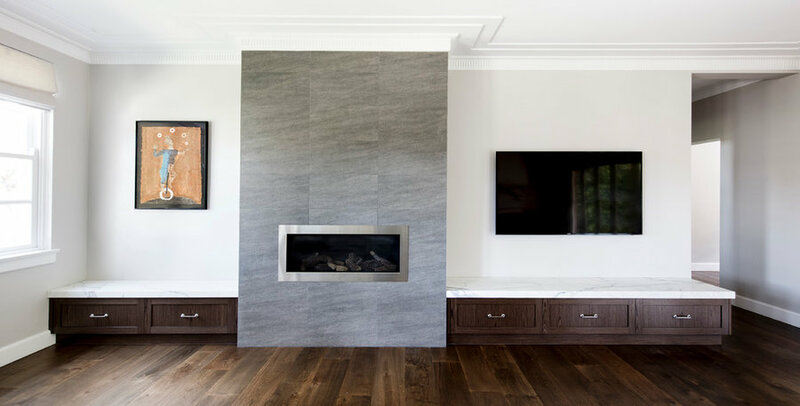 A combination of high end finishes such as Calacata Marble benches, timber veneer cabinetry with a classic shaker profile and wide width oak timber flooring, creates a timeless elegance that compliments this beautiful home. 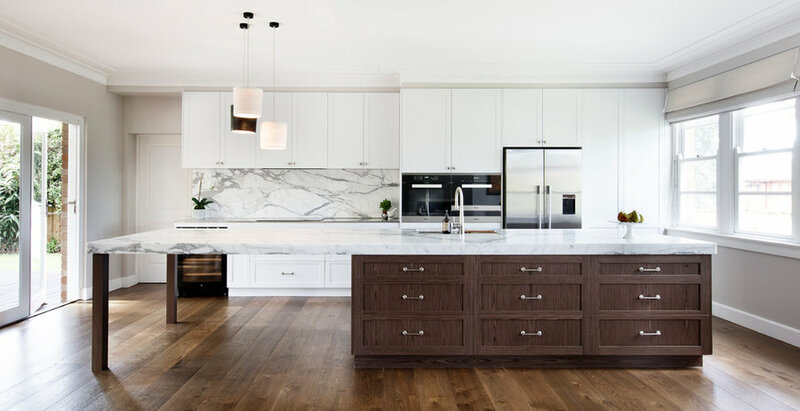 Designed to create an elegant, timeless look within an Art Deco style home, this transitional kitchen combines stunning Calacatta marble with the rich, brown tones of the timber veneer cabinetry and engineered European oak floorboards. A trio of hand blown porcelain pendant lights over the dining end of the 4.5m island complete the space. Family living area adjacent to the kitchen /dining space provides the family with ample storage, a contemporary fireplace feature and television viewing area. Streamlined, contemporary elegance for the family to relax in front of with ease. 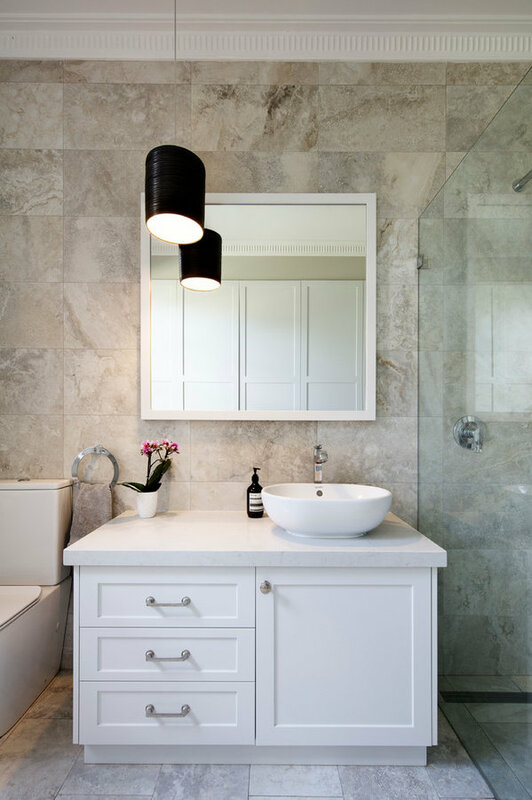 This space has been remodelled with a timeless limestone tile and shaker door profile, combined with contemporary fixtures and fittings to create a transitional bathroom / laundry space. The laundry is completely hidden behind full height, shaker profile doors when closed. 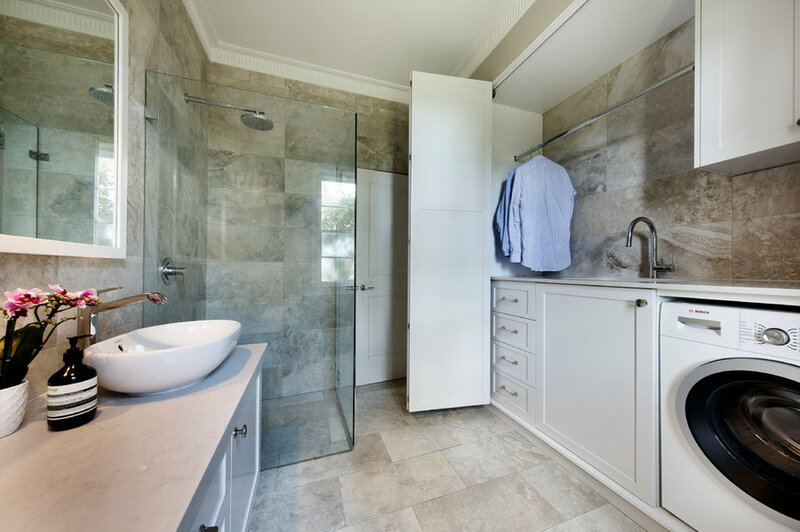 This floor plan is designed to provide an elegant yet practical family bathroom with clever space utilisation for a very useful and generous laundry space.